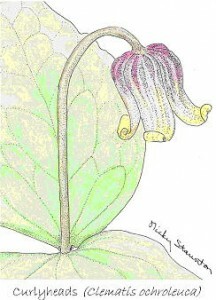 Curlyheads (Clematis ochroleuca). By Nicky Staunton. Serving: The counties of Clarke, Culpeper, Fauquier, Frederick, Loudoun, Rappahannock, and Warren.